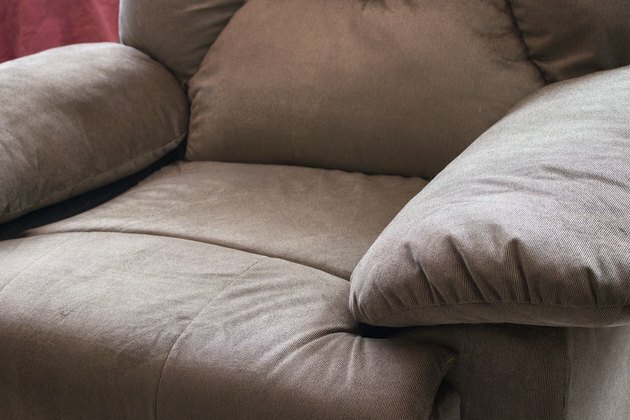 The polyurethane foam in an upholstered sofa can take a lot of abuse. The foam is usually not affected during the cleaning process, but cleaning it improperly can cause staining on fabrics if you use the wrong method. Read the furniture tag, as couches with "X" on them can only be vacuumed, while couches with an "S" require solvents for spot-cleaning only. Couches with "W" or a combination of "SW" can be cleaned at home. For couches that require solvents, call a professional. Vacuum the couch and the cushions at least weekly. Both the crevice tool and upholstery attachment -- if you have one -- can make this task easier. Turn the cushions over and replace them in a different configuration to ensure they wear evenly. Brushing with a stiff-bristled brush can also remove loose dirt and debris. Set up your cleaning solution based on the cleaning code on the label. For couches marked with a "W" or "SW," spot-clean stains first with a water-based cleaning agent, such as an upholstery shampoo mixed following the instructions on the product label. 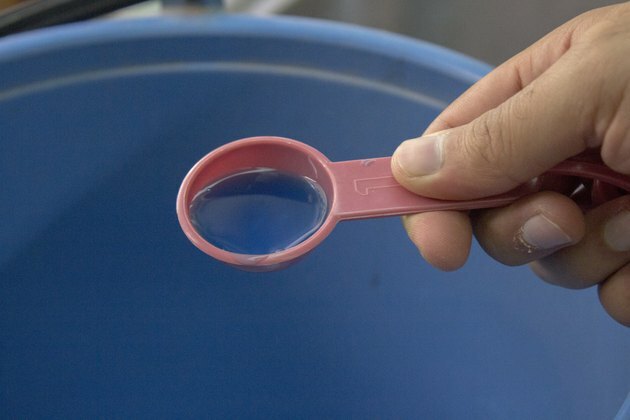 Alternatively, mix a pint of distilled water and 2 teaspoons of a mild detergent in a bucket or bowl to make your own cleaning solution. Clean stained areas first. Do not rub the stained area briskly; instead, blot the cleaning agent on the surface with a soft cloth until the stain is gone. Rinse with a sponge dipped in distilled water. Spray a water-based foam upholstery cleaner over couches with "W" or "SW" on the tag. Brush the foam into the upholstered material with a stiff-bristled brush. Let it thoroughly dry. Drying times vary based on temperature and humidity, but should take no longer than 24 hours. 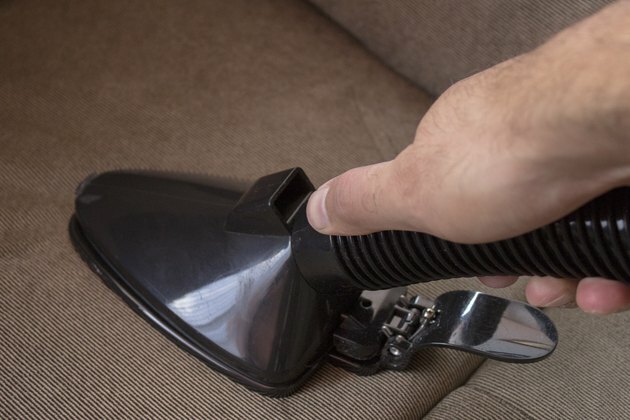 Vacuum the couch to remove the foam and dirt. Foam upholstery cleaners lift dirt out of the couch as the foam dries. 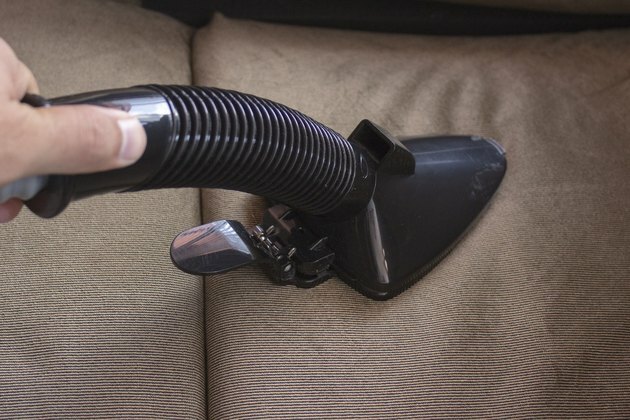 Vacuum the couch thoroughly to prevent grinding in the material after cleaning.